Booty shakin bass music that will make your waistline roll all night. If you can handle bass-heavy beats inspired by caribbean, african & urban music you are most welcome to bring your bumper come to our next party - 19.10. @ Berlin. Massive shout out to my man @Serocee from Toddla T sound for the worlds best introduction jingle. For promotional use only. Support the artists & buy the music! Hey Silent Pressure, du bist der Killer!Big Up! Wie heißt der Song der hier reinläuft, Digga? wonderful! thank you! could you tell me the track id of the 3rd song (starting at minute 4:00)? and maybe also the one before (with the girl vocals)? Brofist and <3 from germany! @party-pazzy: Thanks bro, glad you like it. There is no tracklist but if you need a tune ID please leave a timestamped comment. BIG UP!Great mix! is playlist available? whats the name of this chune? 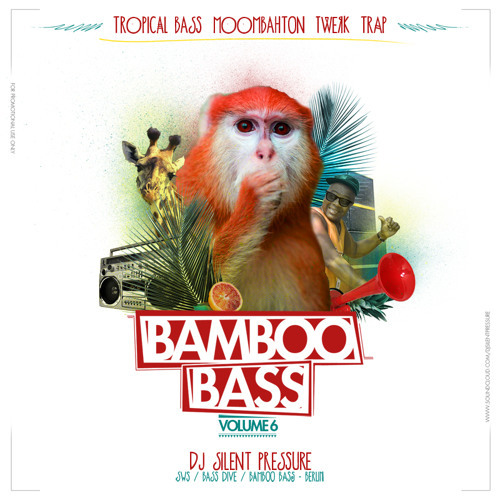 @djsilentpressure: Thanks, I knew I´ve heard it before! What´s the name of the song?